This is an abstract of the 1880 and 1890 federal census. It represents a valuable historical resource, as the Federal copy of the 1890 for Indiana was destroyed in a fire. 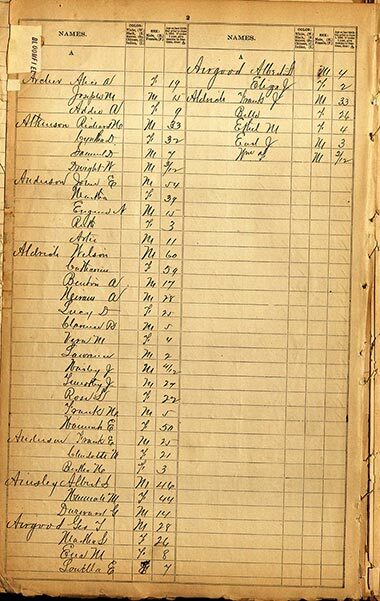 Although it is not always clear when the 1880 list ends and 1890 list begins, researchers can compare the ages given with the full 1880 census. Where the entries are older by 10 years, it can be presumed to be from the 1890 census.